We are more than certain you will find everything you need to create the perfect aquatic world for your fish! Add a burst of gorgeous colour to your water feature with our supply of delightful fish! Whether you are looking for fish or supporting accessories for your aquarium, we can help! Thinking about adding some beautiful fish to your aquarium without having to spend a fortune? Tropical fish can prove to be the right choice. Want to add something different to your aquarium? Enrich your water feature with our range of rare fish species. Whether you are looking for a single fish or a few different species, we can fulfil your individual needs. 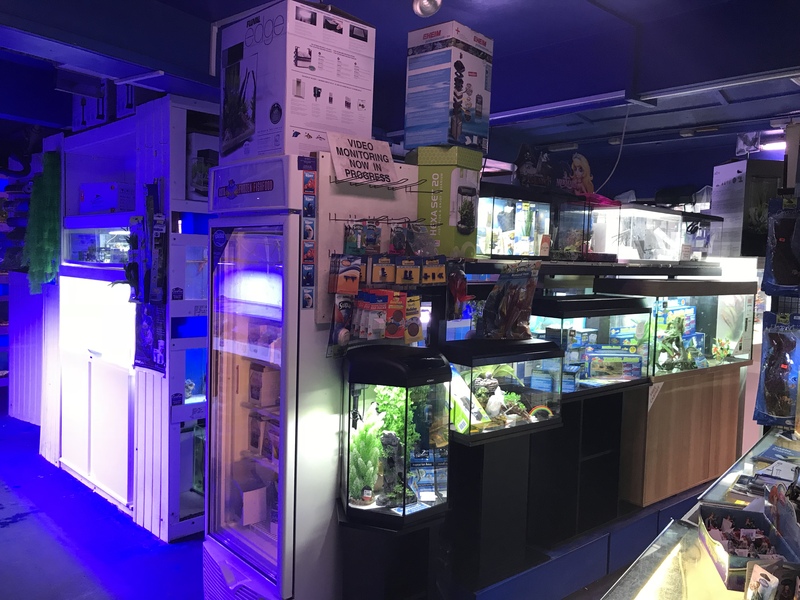 Our range at Kingfisheries Aquarium Ltd is perfect to make your aquarium look stunning. Add a burst of gorgeous colour to your water feature with our supply of delightful fish such as marine fish, tropical fish and fresh water fish. If you are looking for pond plants, pond equipment, supplies or accessories, we have a splendid assortment to suit your requirements. Visit our store in Beckenham to take a look at our offerings. An aquarium can turn your home or business into a relaxing and pleasant environment for your guests. The mood of your interiors will be instantly uplifted with a glorious water feature. Take that stress away and boost your space with our healthy, lively fish. You are sure to increase the aesthetic appeal of your living environment with our selection of aquatic products. Contact our staff at Kingfisheries Aquarium Ltd, Beckenham for a free quote on our selection. Call 020 8650 3716. Tropical fish can prove to be the right choice. These community fish are peaceful and thrive very well with co-inhabitants. Fresh water fish are easy to maintain, undemanding and well-suited to start off an aquarium. Healthy and attractive pond plants or water plants can serve as the perfect backdrop in your pond. Want to add something different to your aquarium? Enrich your water feature with our range of rare fish species.